These weekly papers were large quarto in size, about 12″ by 16″, and each consisted of sixteen pages to the issue. They followed a tested and proven formula of carefully combining elements of war, politics, art, science, travel and exploration, literature and the fine arts in each issue, enhanced with between 16 and 32 illustrations. Throughout its decades of existence, Frank Leslie’s Weekly provided illustrations and reports — first with woodcuts and Daguerreotypes, later with more advanced forms of photography — of wars from John Brown’s raid at Harpers Ferry and the Civil War until the Spanish-American War and the First World War. 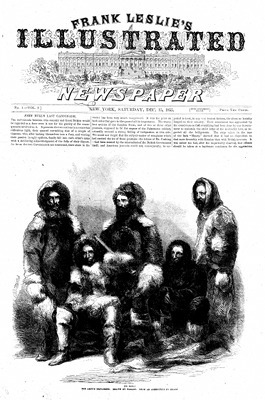 It also gave extensive coverage to less martial events such as the Klondike gold rush of 1897, the laying of the 1858 Atlantic Cable and the San Francisco earthquake. Among the writers publishing their stories in Frank Leslie’s Weekly were Louisa May Alcott, H. Irving Hancock, Helen R. Martin and Ellis Parker Butler. Several notable illustrators worked for the publication, including Albert Berghaus and Norman Rockwell, who created covers for the magazine in its latter years. Frank Leslie was an English-born American engraver, illustrator and publisher of family periodicals. He was born March 29, 1821 in Ipswich, England and though trained for commerce embarked on a career as an illustrator, creating his first wood engraving of the coat of arms of his home town at age thirteen. The sketches he submitted to the Illustrated London News were so well-received that, at age 20, he was made superintendent of engraving for that journal. He soon became an expert and an inventor in his new work. It was here that he learned the operation known as overlaying — the system of regulating light and shade effects — in pictorial printing, a system which he was the first to introduce to the United States. He was first married in England, and had three sons with his first wife before they separated in 1860. Leslie came to the United States in 1848 and worked for Gleason’s Pictorial in Boston. In 1853, he arrived in New York City to engrave woodcuts for P. T. Barnum’s short-lived Illustrated News. After its failure, he began publishing the first of his many illustrated journalistic ventures, Frank Leslie’s Ladies’ Gazette of Fashion and Fancy Needlework, with good woodcuts by Leslie & Hooper, a partnership which dissolved in 1854. The New York Journal soon followed, with Frank Leslie’s Illustrated Newspaper (Leslie’s Weekly), The Boy’s and Girl’s Weekly, The Budget of Fun and many others. 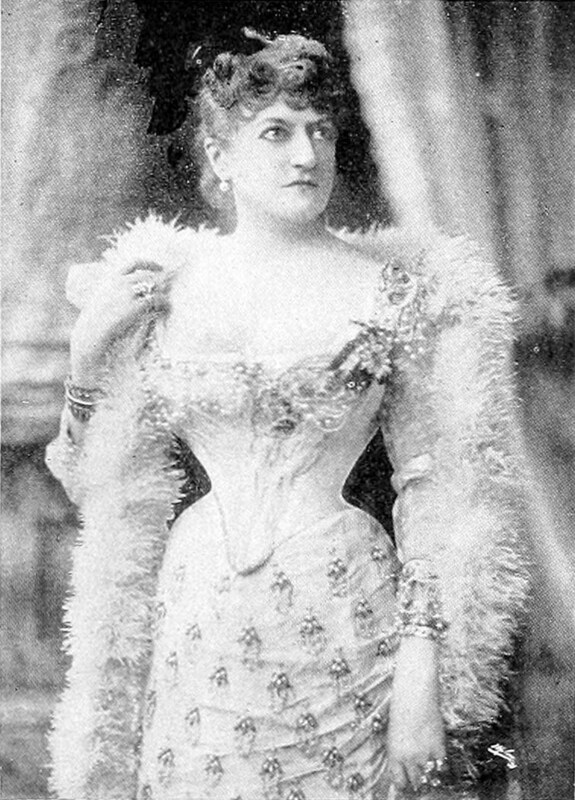 Leslie’s second wife was Miriam Folline Squier, editor of Frank Leslie’s Lady’s Magazine. Their summer home was in Saratoga Springs, New York, where they entertained many notables. In 1877 they undertook a lavish train trip from New York to San Francisco in the company of many friends. Miriam Leslie’s book From Gotham to the Golden Gate recounts the story of this trip. However, the trip expenses and a business depression left Leslie’s business badly in debt. 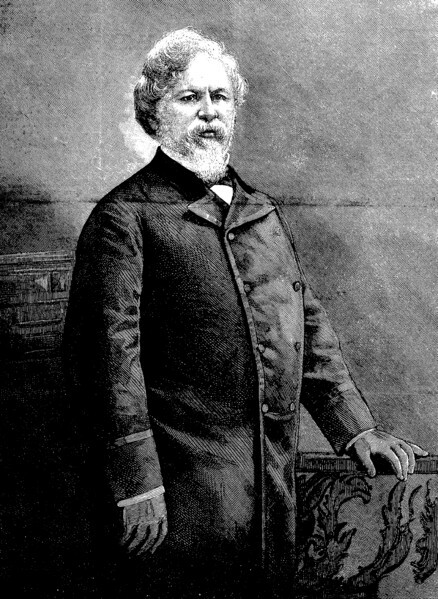 When Frank Leslie died in 1880, the debts amounted to $300,000, and his will was contested. Miriam Leslie took the business in hand and put it on a paying basis, even going so far as to having her name legally changed to Frank Leslie in June, 1881. She also was a notable feminist and author in her own right. Both his and her remains are buried in Woodlawn Cemetery in the Bronx, New York.